A Bahamas Wedding, particularly with amazing aquamarine waters as a back drop at a beach or a bay side with beautiful water in the background, are stunning settings for your wedding ceremony. Add to these the myriad flowers — from peonies and orchids to roses — available for your wedding in the Bahamas and the scene is set. Today’s blog post features floral inspiration for your elegant wedding in our islands. Enjoy! 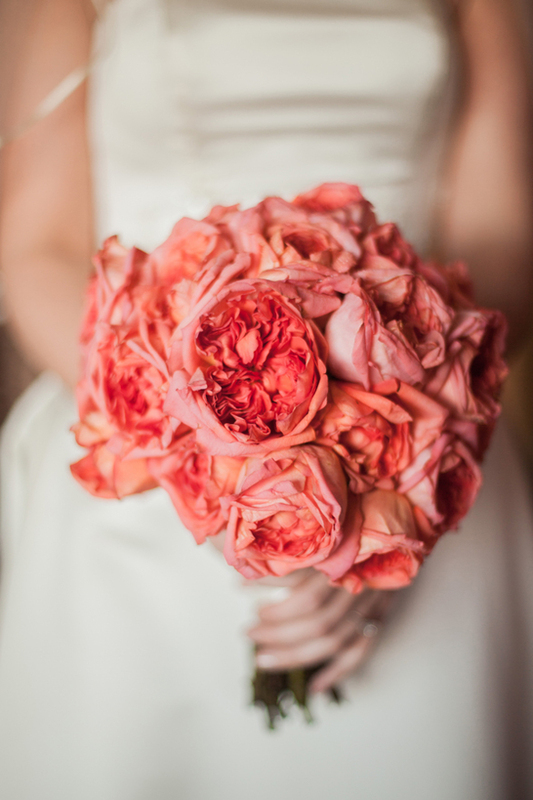 Coral garden roses make up this beautiful bride’s bouquet. Photo By / Jackie Ray Photography. Peacock beach wedding. Photo By / Lyndah Wells Photography.